Have you spent hours creating those programms/fans? Did you create your own photo booth? Have you hand-crafted several ornate decorations that you plan to hang onto for several years? You'd be amazed at what people leave on site and forget to collect, simply because they think someone else has arranged to bring these keepsakes back. Very often these things aren't noticed until you come back from honeymoon, in which case the venue may have unwittingly thrown them out. The best way to circumvent this is to not only give your bridal party a list of things you must have back from the venue, but make sure the venue coordinator has a list of this as well. That way, if anything gets lost in the shuffle your venue coordinator will know to hang onto it for you until you get back from honeymoon, or can make other arrangements for delivery. The best way to expedite this process is to brief someone who is a trusted friend to be your photo catcher. Their job is to download as many memory sticks as possible onto a designated laptop before your guests leave. If you catch people right then and there you have a much better chance of getting all the images you'd like and without the hassle of chasing them down later. You'll probably also have the best luck getting images if your photo catcher is NOT in the wedding party. We asked my dad to take on this role, but as a member of the wedding party he got waylaid with other duties at the time. One of the things I found during the wedding was that from 7am I had no time to myself. There was always someone in my room, always someone who had question, always a well wisher and always someone ready with a camera. It can become difficult to keep energy levels up when you're "on show" for twelve or more hours at a stretch. I found myself wishing for a few minutes every few hours or so just to be able to go somewhere quiet and collect my thoughts / recharge my batteries / have a glass of water / check my lipstick or just be uninterrupted for a few minutes so I could then enjoy the day more. 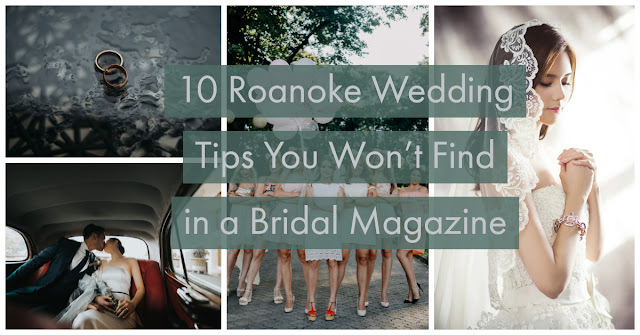 Yes, you read this right and this is actually the fab suggestion of fellow Offbeat Bride. I'm a very huggy person but really started to get tired of so many people touching me throughout the day. At some point in the day photos started to show me wincing/pulling away from loved ones/turning glassy eyed just because I had reached sensory overload. Having a trusted family member or friend help create space around you can be extremely helpful and allow you to enjoy those hugs… but to also make sure you don't OD on being stroked before the end of the day. 6. If you find yourself freaking out a little, do something more "normal." Yes, I had my awesome shoes, my awesome dress, my awesome OTHER dress and every decoration that made me and my future husband smile under the sun. It was most certainly Our Party. However, there were times in the day I felt distant from it all. There were times I still felt disconnected from everything that was happening. I reached a real turning point in the evening when I was tired of feeling like someone other than myself –- comfy clothes and comfy shoes aside. I put down the bubbles and grabbed a beer instead and found an old friend who sat for ten minutes and told me about her life for a while. I should say that I drink bubbles outside of weddings so swapping champers for beer wasn't really the issue. But it was such a relief to not talk about me, the wedding or our hopes for the future. Having those ten minutes to sit in the back corner, drink a beer and chatter on about nothing at all really helped me feel more like myself again. If you have a friend who doesn't feel obligated to only talk about your wedding, spending a little time with them could be a welcome break! For example, we really wanted our guests to ask us our vows and to also pronounce us. Our celebrant totally got where we were going with this and was happy to lead everyone in these sections. But we were still worried that our guests would be so surprised to take on this role that it would be so quiet that we'd only hear a tumbleweed go by. We went back to our celebrant and asked her to write a preamble to set everyone's expectations about their role in the service up front –- and yes, as a result their voices were as loud as we hoped they would be! Similarly, I didn't know much about my mom's speech but I did know she was planning to weave in the Jewish tradition of the breaking of the glass. It suddenly occurred to me that she would expect to produce the glass, have Hubby stomp on it and that everyone would applaud. In actuality, 99% of our guests were Church of England, and I had to advise her that if she wanted everyone to applaud and yell out "Mazel Tov" she needed to tell them in advance. She then amended her speech to include a very short definition of Mazel Tov and her favourite reason for the tradition of the breaking of the glass – and everyone applauded and cheered when it was broken in the first go. There are a lot of comments on Offbeat Bride about how friends and family members wig out when something tests their boundaries of what they think a wedding should be. However, we found that our guests were absolutely fascinated by being part of something different. The framework was something recognizable (bride, groom, ceremony, rings) but the details were different enough to keep everyone completely attentive through the entire event. Bless my sisters for printing these documents out, scribbling their notes all over them and delivering the most seamless day an event planner ever could have hoped for. And bless them for also sharing this with the onsite coordinator… and all the ushers. I absolutely know that if I hadn't given them enough time to own the process on their own, it wouldn't have worked as well as it did. 2. When it's all over, remember to thank your vendors… publicly. Like most Offbeat Brides, I've had a little love-in with nearly all my vendors. I simple cannot believe that they've taken some sketchy brief and come back with designs, flowers, decorations, etc., that completely surpassed my expectations. After the wedding I wrote each one an incredibly detailed thank you as I wanted them to be able to use my comments as a testimonial to share with other brides and grooms. If you really love your vendor, one of the greatest gifts you can give them is not just a letter of profuse thanks, but to also take it upon yourself to find a public site that rates said vendor and write something that could sway couples to call that company. I know it's not really in our job descriptions to act as their marketing departments. But as so many of them went out of their way for me, I am genuinely moved to want to make a difference to their business. 1. Have a registry? DON'T write thank you letters in advance. You've probably guessed by now that I'm a Type A personality. And when I read an online suggestion to write thank you letters in advance as guests start to buy gifts or make donations, I jumped at the idea. So precise, so organized! And I would be able to express my thanks without suffering perhaps quite as much letter fatigue as someone who wrote them all in one go (i.e. after the wedding). What I found through the planning process is what everyone else here has found. That it is inevitable we will need colossal amounts of help before everything is over. And until it's all over you really can't get your head around who has helped you in ways that really need to be acknowledged more than the toaster you may receive.